BRUSSELS — The European Union removed the last major obstacle to sealing an agreement on Brexit after Spain said it had reached a deal Saturday with Britain over Gibraltar on the eve of an EU summit. British Prime Minister Theresa May, who arrived in Brussels Saturday evening for preparatory talks with EU leaders, will then have the momentous task of selling the deal to a recalcitrant British Parliament and a nation still fundamentally split over whether the U.K. should leave the EU on March 29 and under what conditions. 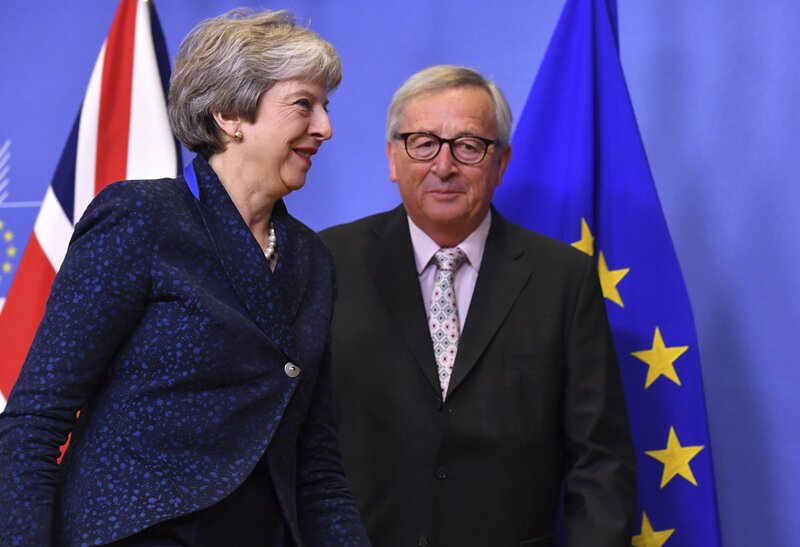 The move should allow EU leaders speedily to sign off on the Brexit agreement between Britain and a special summit Sunday morning. May was on her way to Brussels when the deal came through and hopes to leave EU headquarters on Sunday with a firm agreement on the withdrawal terms for Britain’s departure from the EU on March 29, as well as a comprehensive negotiating text on how future relations should look like once both sides agree on a trade agreement. 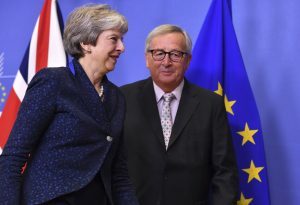 May met with Juncker and was to have dinner with Tusk on Saturday evening. Winning warm greetings from her 27 fellow leaders on Sunday might be much easier for May these days than getting such treatment from her colleagues in government and Parliament once she returns. May is under intense pressure from pro-Brexit and pro-EU British lawmakers, with large numbers on both sides of the debate opposing the divorce deal and threatening to vote it down when it comes to Parliament next month. The leader of Northern Ireland’s Democratic Unionist Party, on which May relies to get her government majority, on Saturday rejected her planned Brexit deal, arguing it would drive a wedge between Northern Ireland and the rest of the United Kingdom.